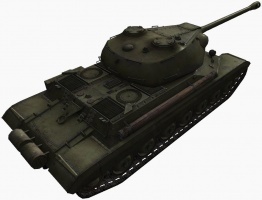 The ST-I is a Soviet tier 9 heavy tank. El proyecto fue desarrollado en la Fábrica N.º 92 en 1945. 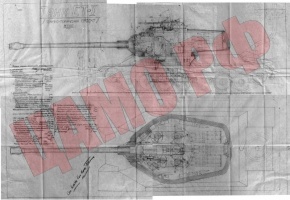 El diseño presentaba el casco del Object 701 (IS-4), pero con una transmisión y suspensión diferentes. La torreta del carro fue desarrollada a partir de cero. Solo existió en planos. Even when fully upgraded, the ST-I is the slowest of all Tier 9 heavy tanks available. It's slow for a reason. It has very sturdy angled armor that is impenetrable to many Tier 8 guns, and is more than a challenge to penetrate when angled properly. A properly-driven ST-I can have confidence in its armor, especially when hull-down or sidescraping. 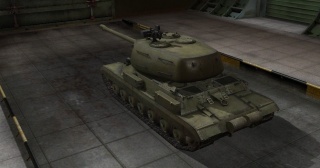 The ST-I is almost half the weight of its predecessor, the KV-4, and thus isn't as well-suited for ramming, but in turn, can reach and maintain surprising speeds when pushed along by teammates. Its top 122mm gun is very powerful, yet gun handling is poor, and gun should rarely be fired on the move. Shots beyond 400 meters will require careful aiming. In the hands of a player who has mastered close to mid range combat, this tank can be a nasty surprise and extremely difficult for vehicles of the same and lower tier to penetrate. When top tier, the ST-I can easily lead its team to victory as a sturdy breakthrough tank coupled with formidable firepower. 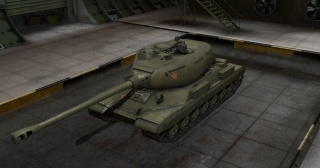 The ST-I leads to the IS-4. Stock turret has a low profile but very weak. Larger upgraded turret that attracts a lot of enemy fire, although very strong from the front. The ST-I is defined by its poor speed and mobility, thick intimidating armor, and raw firepower. It presents a tough opponent that should never be faced alone at close range, due to its adeptness at face-hugging, sidescraping, and brawling. However, once surrounded, its sluggishness and huge turret quickly become its downfall. As such, the ST-I is well-suited for city maps where it can exploit its ability in close-to-mid-range combat. In a hull-down position, its gigantic turret can only be penetrated by the strongest tier 10 guns; this, combined with exceptional gun depression for a Soviet tank, and a small and strong commander's cupola, make the ST-I's turret very formidable. However, once turned the wrong way, the huge slow-moving turret quickly becomes a huge weak spot. Furthermore, shots that hit the turret's underside may ricochet off and down into the hull, causing damage. The ST-I also has very thick sides and well protected tracks which make it very good at side scraping; a paramount manoeuvre for the IS-4. The ST-I is overall the slowest Tier 9 Heavy but can be boosted to surprising speeds around 40 kmh when pushed along by a teammate, it also keeps its speed well on flat ground. This is due to its relatively light weight which comes with the price of being sub-par at ramming and, when combined with a massive turret, high susceptibility to artillery fire. Although no longer boasting 400 penetration, the now 340 pen nerfed HEAT shells are still one of the best among the tier 9 heavies. A stock ST-I can be very grueling and unpleasant for its driver. 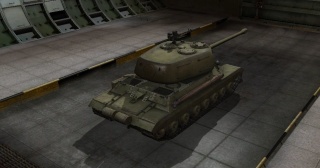 Stock, it will be armed with a barely-improved 122mm gun found on the KV-85 and IS, the 175 penetration shell is absolutely unsatisfactory for a direct-combat face-to-face tier 9 brawler. It is highly recommended that you invest in Enhanced Torsion bars and or use free experience to get an upgraded gun. Furthermore, the stock turret is quite weak and has large obvious weak spots. -The BL-9 gun is more or less essential as the stock gun simply does not have the penetration to deal with most tier 9 and 10 tanks. 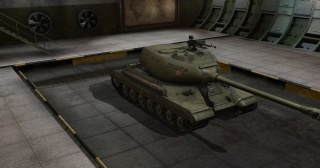 Using free exp or unlocking it on the IS-3 first is strongly recommended. -Research the tracks, as it will allow you to install all its upgrades, unless you can afford the torsion bar module. 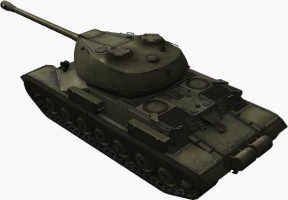 -Research the Turret, as it greatly improves armor, view range, and reload time of its guns. ST-1 Heavy Tank at wikipedia.org in Russian, use Google translate.